I would like to invite you to attend our Prospective Kindergarten Night on Wednesday, January 25th at 6-8 pm. The Kindergarten year, the final year of the Montessori Early Childhood program is an exciting year for the student. Their foundation of learning and skills from their previous year’s blossom in their academic, emotional, and social accomplishments. The Montessori Kindergarten student continues to build on their concrete understanding, preparing them for the abstract concepts introduced in the elementary program.
? The Foundation of Learning- The third year in a Montessori Primary classroom is very productive and important to their development. Everything the children have learned falls into place and they are ready to meet many new challenges. The child develops academically to their full potential. The foundation of learning is in place.
? Explosion into Learning- This occurs in the third critical year. This is the time when all the learning absorbed by children during the two preceding years of Montessori training suddenly fits together. The children begin to read, write, do math and show other bursts of intellectual and emotional growth.
? Reinforcing Good Habits- The longer children have to reinforce good habits and learning skills, the higher the probability that they will have internalized and made them a permanent part of their development.
? The Love of Learning- Learning habits established at a young age will make a difference in how children perform later in school and beyond into their everyday life. 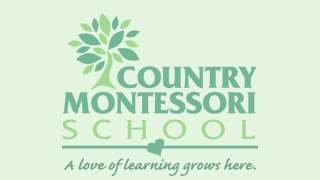 The critical third year in the Montessori Primary classroom cultivates qualities such as initiative, concentration, self-discipline, sense of order, completion of tasks, responsibility, creative self-expression, and love of learning.
? Everlasting Friendships- Children bond during their first and second years in the program and gain mutual respect, trust and caring for each other. These friendships and social skills continue for life. 1) Individual attention from teachers who receive rigorous training in building an atmosphere of calm, order, and joy in the classroom. 3) Reading Groups with the Elementary Reading teacher. 4) Continued special additional subjects such as music and Spanish. 6) Creative writing experiences through journal writing. Join us to learn more how your child will benefit from the CMS Kindergarten program!